Gtechniq is an Automotive Detailing company that specializes in products to protect your car. 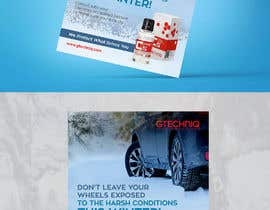 We would like to create a WINTER themed advertisement that can remind customers to protect their cars before bad weather gets here. Size: 7 1/2" x 9 5/16"
This ad should be featuring our C5 Wheel Armour. Must include Gtechniq Logo and text. Use other included images at your discretion. 1) Title: Don't leave your wheels exposed to the harsh conditions this winter! 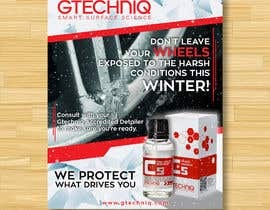 2) Support Text: Consult with your Gtechniq Accredited Detailer to make sure you're ready. Are you stil looking out for suitable Designs or given up? Hi! could you kindly update the specs/dimensions of the advertisement, thank you.